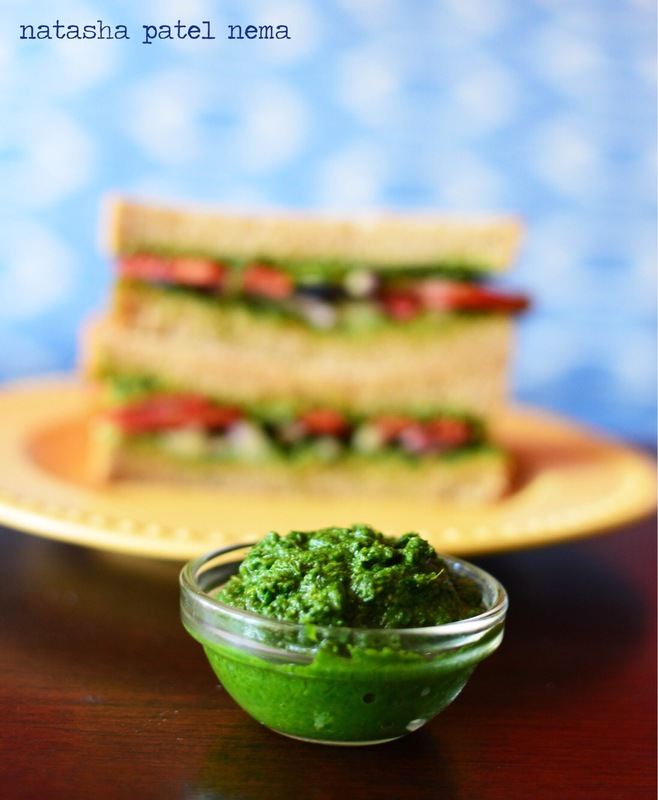 Since many year I had forgotten this coarse green coriander chutney. Till now I was making the version with peanuts and a much smoother paste. 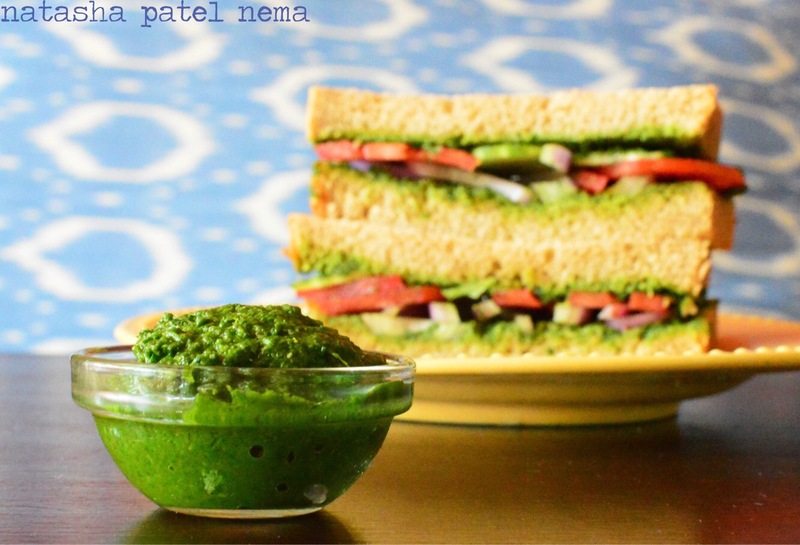 Suddenly I remembered Narmada bai, my old nanny and her version of the green chutney. She stayed with us for about 8 years and then sadly died of cancer. She was a very loving bai, I am glad to have such a person around me while growing up. In fact not many people are like her today. In the older days most of the people where like her honest, loving and not at all money oriented. The world is lucky to have few people like her today and I am luckier that they all are working for our household and office. To make coriander chutney it was a whole evening’s job for Narmada bai. She had this big mortal and pessel. First she would clean up the coriander and separate its leaves. Then patiently prepare all the other ingredients. 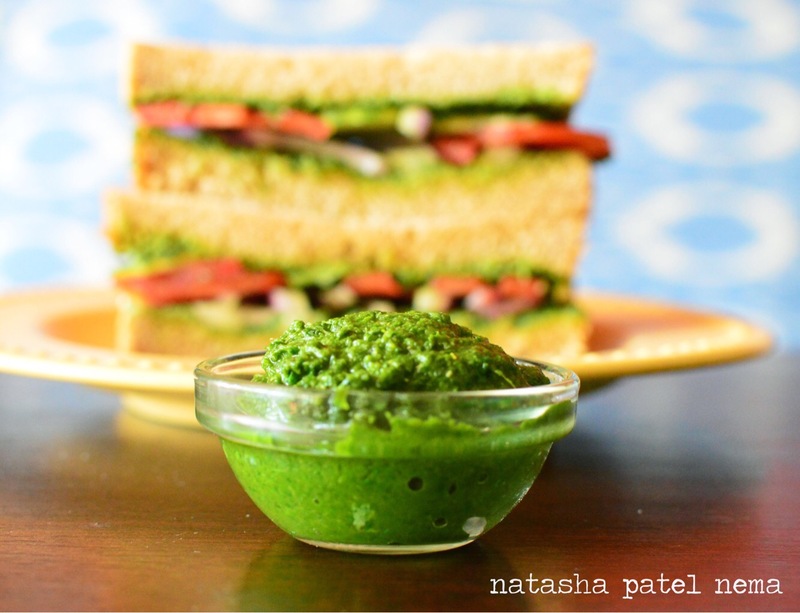 I remember her sitting on the floor and make this green chutney. It took so much effort to make it. She would roll the pessel on the big long heavy mortal, add ingredients, then gather it with her hand, add some more ingredients and this process will go on for a very long time, till the chutney for the whole house was done. I would sit next to her, would watch closely and would continuasly keep on talking to her. Till today my parents claim no chutney like Narmada bai’s. It was her patience and love that made it unforgettable. I made it in an electric mixer grinder, it took me about half an hour to make it as you don’t have to add much water in it hence it takes time. The final result was worth it. A container full of chutney got over in less than 24 hr. Just as we have forgotten many things of the past. Along with this chutney I also visted memory lane with this beautiful song…I heard on the radio..
What beautiful melody, what timeless lyrics of unconditional love. “Tu sukh mera lele mieh dukh tere lelu..
Seprate the leaves of coriander and clean it. Keep a side. Mix all the ingredients add very little water and mix it into a corase paste. Taste the chutney for balance of flavours. Eat with whatever you like.